For Herbert Howells, the past lived on in a very special way. From his early days at Lydney Parish Church and Gloucester Cathedral, Howells became enchanted by the 'immemorial sound of voices'. Not only did he feel most at home within the Anglican choral tradition, but his music has come to redefine that tradition within the twentieth century and beyond. This disc, made up of some of Howells’ lesser known choral works, not only demonstrates his stylistic development but, more importantly, shows how he achieved this by looking back in history to the composers of the past. He was greatly inspired by the music of Vaughan Williams’s Fantasia on a Theme by Thomas Tallis at the 1910 Three Choirs Festival. 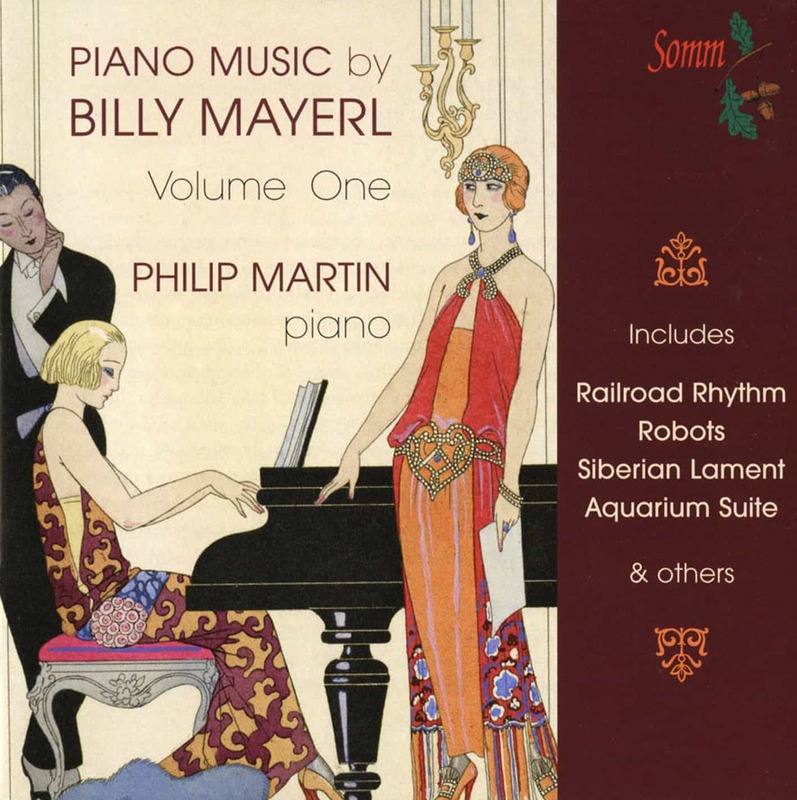 This iconic work, which simultaneously embodies musical past, present and future, spoke to him intensely and led him to comment, later in his career, that ‘all through my life I’ve had this strange feeling that I belonged somehow to the Tudor period not only musically but in every way.’ However, it was Charles Wood at the Royal College of Music who gave Howells the required technique (particularly in modal counterpoint) and who demonstrated in his own choral works that writing in a pastiche style — such as that of Byrd or Tallis — could still yield remarkable results in the modern day. 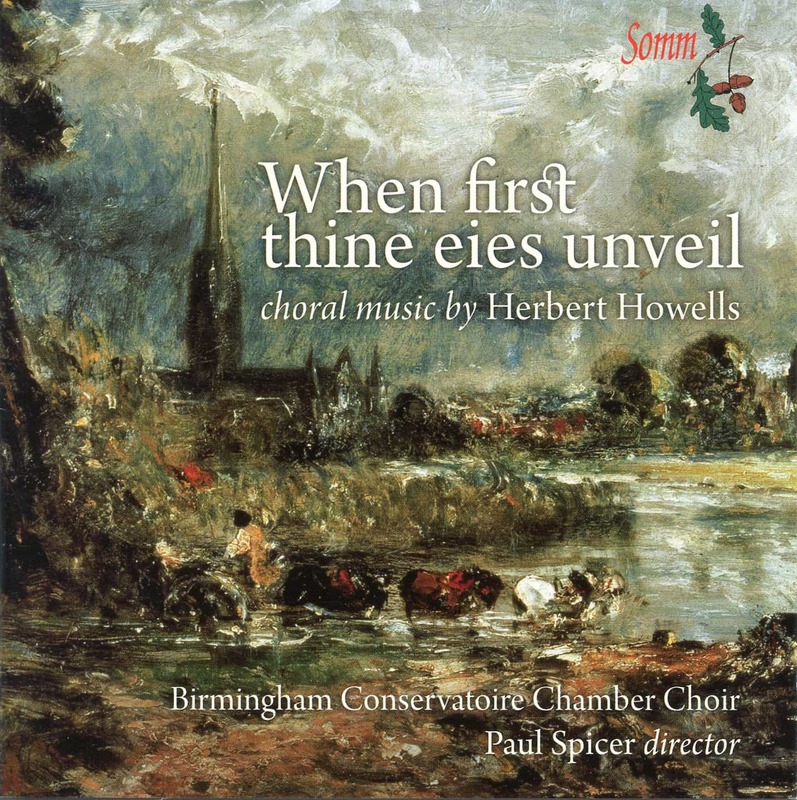 The music on this disc, predominantly written for Westminster Cathedral when Howells was a student of Stanford at the RCM, gives us a remarkable picture of Howells the craftsman working in a range of pastiche genres which seem a world apart from the more famous church music written for iconic Anglican foundations such as King’s College, Cambridge and cathedrals such as Gloucester and St. Paul’s. It also features other significant, rarely heard music, including a first recording of the extraordinary Holst-like anthem When first thine eies unveil which was written at the same time as Mine eyes for beauty pine. It also includes for the first time another pairing, Walking in the Snow with Long, long Ago written for George Guest’s Lady Margaret Singers in Cambridge. Additionally, there is another premiere, Levavi oculos, Paul Spicer’s reconstruction of a wedding anthem for Hereford Cathedral, and Howells’ lovely arrangement of the Sussex Mummers’ Carol: O Mortal Man. The disc ends with one of Howells’ last motets: the ferocious and challenging Antiphon, setting George Herbert’s famous words ‘Let all the world’. 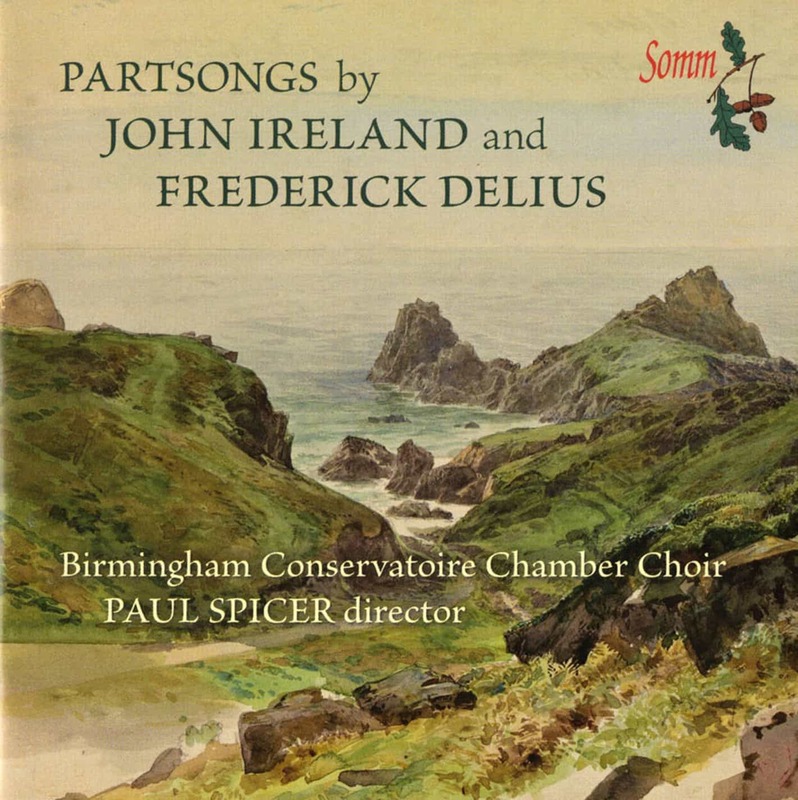 This is the third recording in a continuing collaboration between SOMM and Paul Spicer’s Birmingham Conservatoire Chamber Choir, which continues to yield many riches. “…everything in this finely executed disc is worth hearing, and the final track, the well-known (or it ought to be) ‘My heart in thine’, is as moving as ever.” (Stanford Partsongs, SOMMCD 0128) Piers Burton-Page, International Record Review. Paul Spicer was a chorister at New College, Oxford. He studied composition with Herbert Howells and the organ with Richard Popplewell at the Royal College of Music. Paul is best known as a choral conductor, partly through the many CDs he made with the Finzi Singers for the Chandos label. He conducted Bach Choirs in Chester and Leicester before moving to conduct the Bach Choir in Birmingham in 1992. 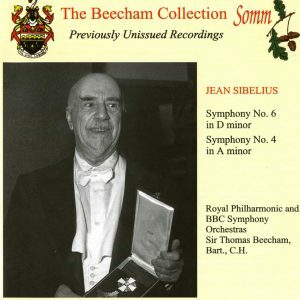 He has conducted the Whitehall Choir in London since 2000. He taught at the Royal College of Music in London between 1995 and 2008. He now teaches choral conducting at the Birmingham Conservatoire, where he also directs the chamber choir, and at Oxford and Durham Universities. Until July 2001 Paul was Artistic Director of the Lichfield International Arts Festival and the Abbotsholme Arts Society, posts he relinquished in order to pursue a freelance musical career. 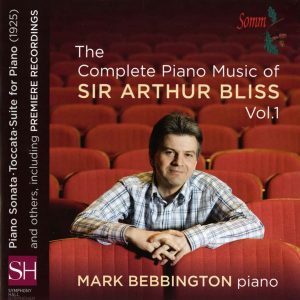 He was Senior Producer for BBC Radio 3 in the Midlands until 1990 and today is in considerable demand as a composer. He has also been a much sought-after recording producer. Paul Spicer’s highly-acclaimed biography of Herbert Howells was published in August 1998 and has been reprinted twice. His large-scale biography of Sir George Dyson was published in 2014 and he is now writing a biography of Sir Arthur Bliss. He was commissioned by the Britten-Pears Foundation and Boosey & Hawkes to write the first practical guide to all Benjamin Britten’s choral music for the Britten centenary in 2013, something he continues to do for all James MacMillan’s growing choral output. As a composer his Easter Oratorio was hailed as ‘the best of its kind to have appeared… since Howells‘ Hymnus Paradisi.’ It was also chosen as an Editor’s Choice in the same magazine. His new large-scale commission, a choral symphony Unfinished Remembering to a text by Euan Tait commemorating the centenary of the First World War will be premiered in Symphony Hall, Birmingham in September 2014. Paul Spicer is a Fellow of the Royal Society of Arts and an Honorary Research Fellow of Birmingham University. He has also been awarded Honorary Fellowships by Birmingham Conservatoire and University College, Durham and is a Trustee of the Finzi Trust, Vice-President of the Herbert Howells Society and Advisor to the Sir George Dyson Trust.